The T49 is an American tier 9 light tank. Imagine the KV-2 with small size and agile speed; This is the result of insane combination of the deadly "derp gun" and mobility. 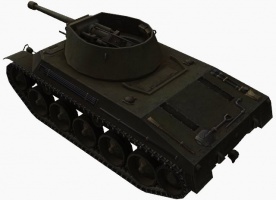 When stock, The T49 is just Bulldog with higher hit points, lower speed and camo ratings. But when it received the deadly 152mm gun, The T49 became to one of the most dangerous enemy you'll face in Tier 9 - 10 ranks, Especially if you played as lightly armored tanks (Such tank in France line). Its deadly gun can deal up to 1000 damage and can do serious module damage to your tank if lands a critical hit. In exchange, it only has mediocre speed for a light tank and very poor accuracy. 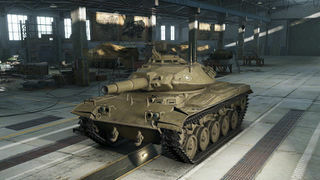 Recent gameplay changes has now allowed the T49 be a consistent damage dealer with the changes to the 90mm gun allowing it to fight with other light tanks or medium tanks without resorting to expensive HEAT rounds. The T49 leads to the XM551 Sheridan. With the top gun, this tank is the ultimate aggressive ambusher. To play this tank well will require for most players a lot of practice due to a playstyle unlike any light tank in the game. You have to get close to an enemy tank to have a shot at hitting with such low accuracy. Because you are a light tank and a rather large one at that, you must time your run perfectly since you will only get one shot before you have to retreat while your gun reloads. That being said if you can make contact with a low armor face of a enemy (such as a french tank or many tanks rear armor) you will take at least half their HP pool with a pen. 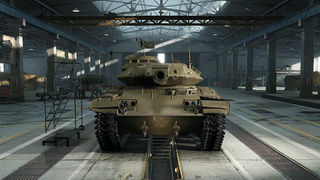 With such a unique play-style this tank is sure to become a favorite of many tankers, though beginners might want to avoid this tank. 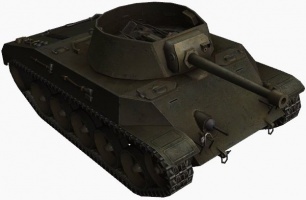 More battle value for T49 w/ 152mm gun comes from the fact that with it T49 can damage frontally literally any tank in the game without penetration concerns (using the HE rounds). Turning the tide on deadlock situations on tight corridor maps. Even badly aimed hits on the most heavily armored targets deal damage (120 pts minimum). However due to the long reload weak sides should be hit to have notable dps. 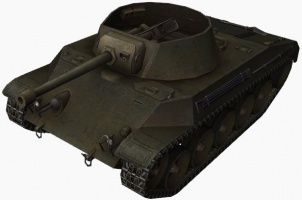 If you dont like "derp ambushing" with the 152mm, the changed 90mm gun can be used as a more reliable way to hit and damage targets, though frontally penetrating heavies can be a challenge to impossible. The change brought about the replacement of the default HEP round with an APCR which now provides the T49 with a 'normal' gun. Players now have a consistent way to deal damage to heavily armored targets without resulting to the more expensive, but higher penetrating, HEAT round. With reload time of 5,31s with gun rammer you have essentially a great DPM potential (2600pts(w/rammer) with the APCR/HEAT round, it however has basically lost its ability to do a maximum of 3600pts with the 102mm pen HEP round as it is left with a 45mm pen HE round. The T49 stock grind is now generally painless and upgrades are only minor. 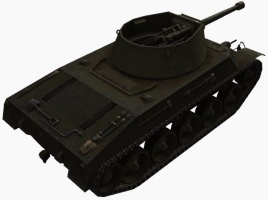 T49 was an attempt to upgun M41 Walker-Bulldog in order to stay relevant against more heavily armored tanks such as T-54 which appeared after the introduction of M41. 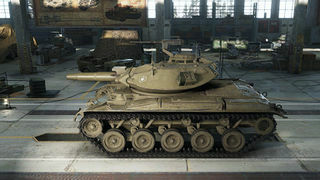 To create T49, M41 was upgraded with a 90mm gun and a larger turret. 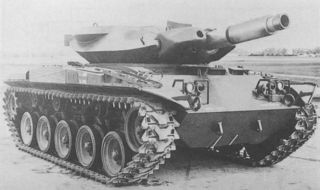 This tank later served as the test bed for the 152mm M8E1 rifled gun/launcher. 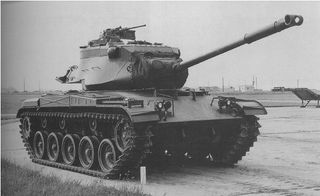 This tank was later adapted into the M551 Sheridan. This page was last modified on 15 August 2018, at 11:05. This page has been accessed 54,501 times.